Keeping a kid’s room organized can be tough. They hate to clean up a play session that might still be going, or possibly start again later, so you may find little play areas scattered around the room. 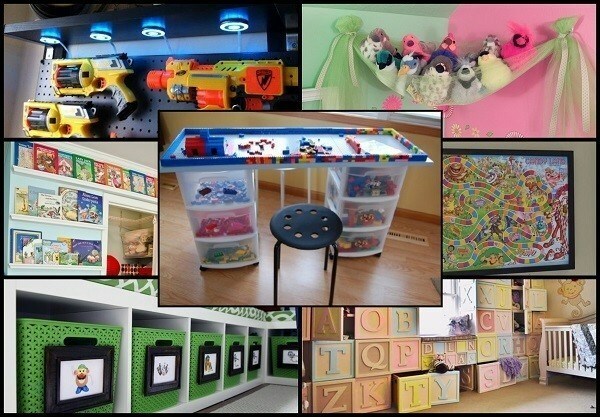 Adding some simple solutions and making sure there is a place for everything are great ways to get started teaching your kids to pick up their toys and keep their rooms organized. Depending on their toys and the sheer amount of stuff your kids have, you may just need a few simple storage solutions, or you may need an overhaul. We’ve picked out some fun and clever ways for you to DIY storage ideas, from the small stuff to enormous projects. 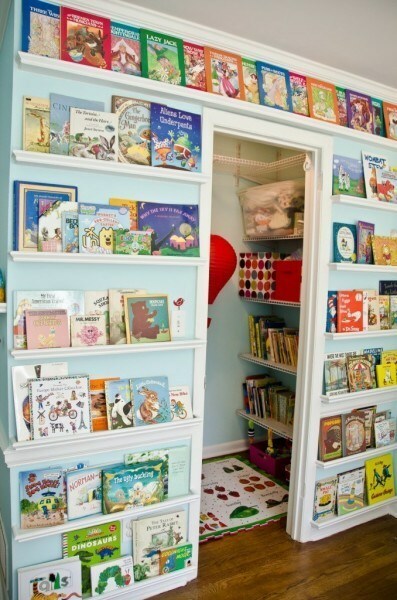 We hope you’ll be inspired to add a few of these ideas to your kids’ rooms! Puzzle Piece Storage – Tired of puzzles having missing pieces? 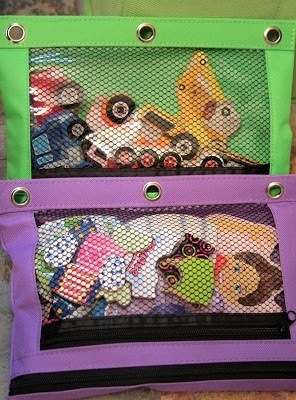 Ditch the box and instead store each individual puzzle in a zip pouch, like these, which you can find at Office Max. They also take up less space than the enormous boxes. 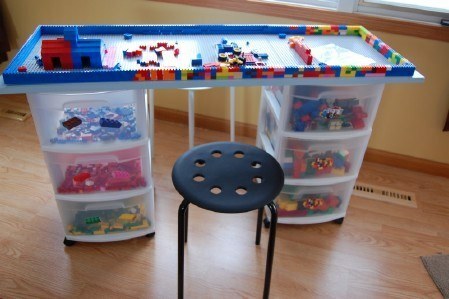 Lego Storage and Play Table – Use rolling storage towers to form the base of a storage desk. Instead of a normal desktop, add a Lego play board and voila! You have a fun play area with built in storage. No more Legos on the floor! 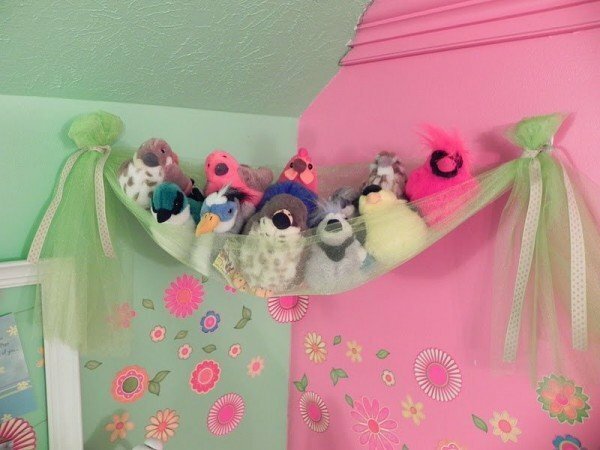 Bird’s Nest Toy Storage – This is an adorable idea for any kid’s room. 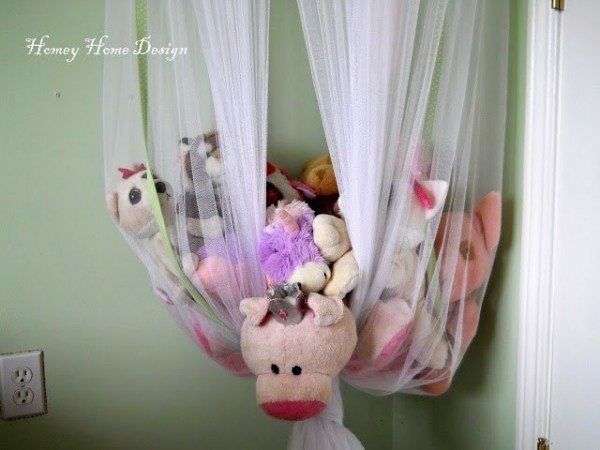 Use colored tulle, ribbons, and command hooks to create a hammock-like nest for toys. This works best as storage for stuffed animals, which aren’t too heavy. 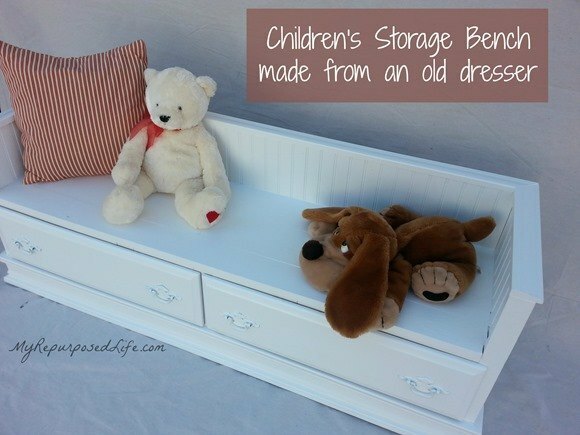 Kid’s Storage Bench – If you have an old dresser that’s too big for the space, you can convert it into a perfect kid-sized bench. Leave the drawers on the bottom for a bit of extra storage. 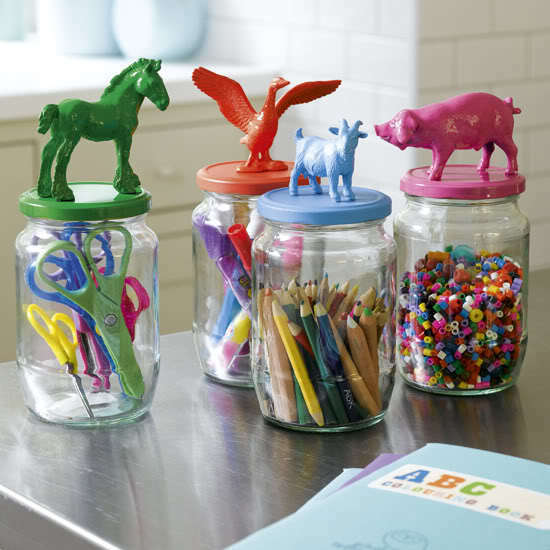 Animal Storage Jars – Secure some discarded animal figurines onto the top of clean, empty glass jars and spray paint them a bold color. 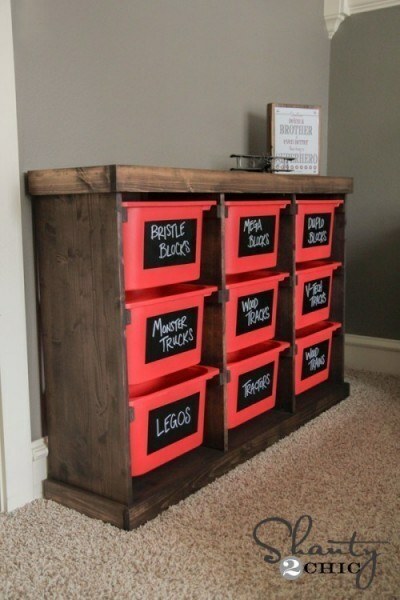 Then use them to store your kid’s craft supplies neatly. Use plastic jars if the kids are prone to dropping or spilling. Double-Duty Play Mat – This fabric play mat has a drawstring function that will allow you to quickly clean up any Lego or toy mess. The kids simply play on the mat, and then use the draw string to neatly store all their toys right in the mat. Super easy clean-up! Dollhouse Toy Chest – This unique take on a traditional toy chest turns a simple storage solution into a toy in its own right. The toy box looks like a house, adding a new dimension to imaginative play. Plastic Storage Tote Storage – If you need to get serious about your storage, this caddy can fit up to 9 plastic totes in it, filled with your kids’ toys. Use large labels to help keep everything organized. 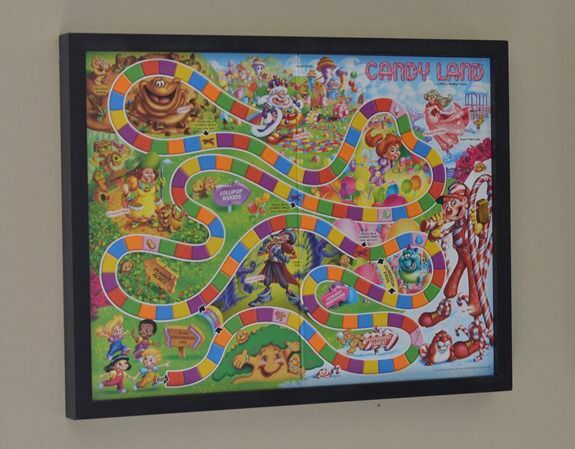 Boardgames as Artwork – Hang up those colorful, pretty board games and just take them off the wall when you want to play. 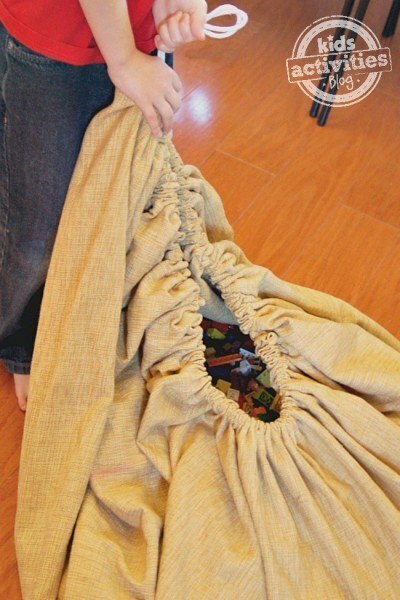 Best of all, you can store all the pieces in a ziploc bag on the back. Safe, but totally out of sight. Canopy Storage – Long sheer curtains can be gathered into a knot at the bottom to create an elegant canopy in a corner of the room. Kids can easily access their favorite stuffed animals, but they’re kept up off the floor and organized. 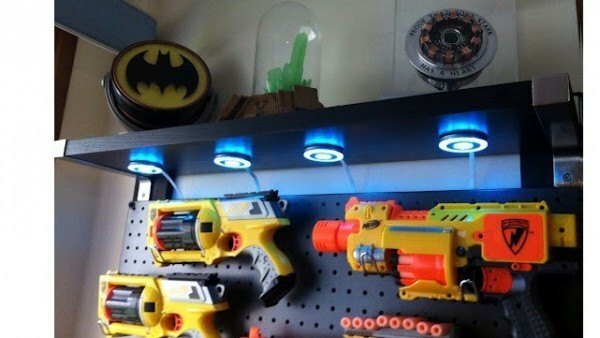 Nerf Gun Storage – Keep the Nerf guns and ammo kept up off the floor with a simple pegboard project. Perfect for a shared boy’s room. Add lighting if you want to get fancy. 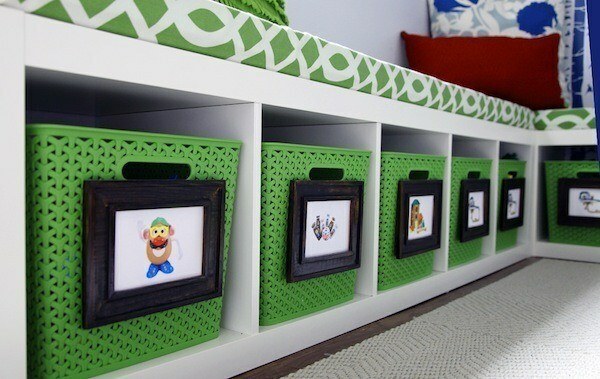 Visual Organization Aids – Perfect for pre-readers, these little frames help younger kids keep their toys organized. 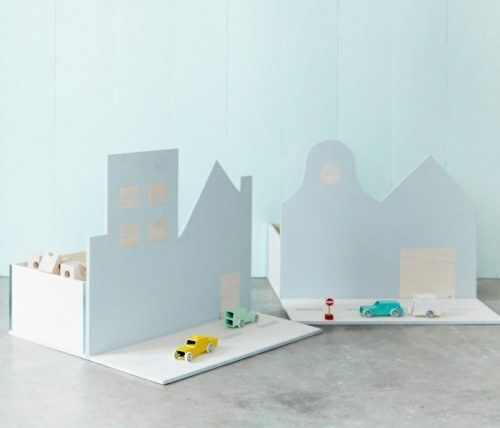 Start them early, and you won’t have to worry about messy bedrooms! Book Display Shelves – These shelves do more than just store the books, they turn them into an incredible colorful display. 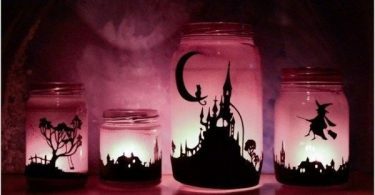 While these are not suited for thicker books, they’re perfect for thin children’s books with lots of colorful pictures. 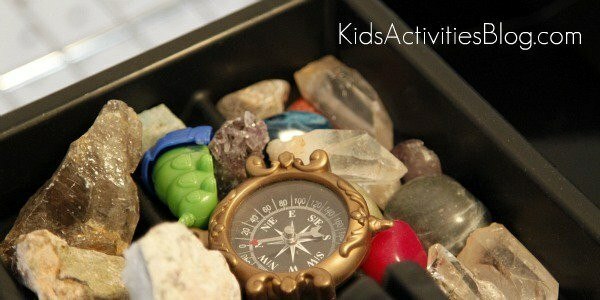 Treasure Box – Kids bring home the funniest stuff. From fossils found while playing outside to plastic toys that are easy to lose, keeping all their precious treasures separate can ensure that none of these pieces get lost. Zoo Stuffed Animal Keeper – A few bungie cords, a wooden frame, and some colorful decals make a great storage container for stuffed toys and dolls. While the fabric-only options are great for just a few toys, this sturdier project will wrangle a lot more toys. 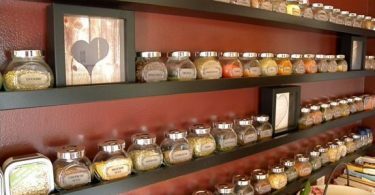 Ultimate Storage Decor – This project is not for the faint of heart, but we just had to include it anyway because it’s so incredible. 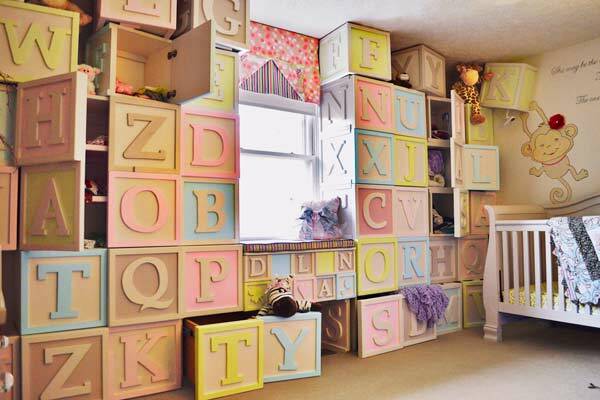 An entire wall has been decorated in alphabet blocks that actually open and serve as storage cabinets and drawers. Totally stunning!